Drones are awesome fun. They can bring out the inner kid in even the most jaded individual, but they can also land people in a lot of trouble. Here are some things every new drone owner should know before taking to the skies. Traditional R/C model airplanes are a time-tested hobby that require patience and dedication. True R/C hobbyists often devote thousands of dollars and hours to their passion. 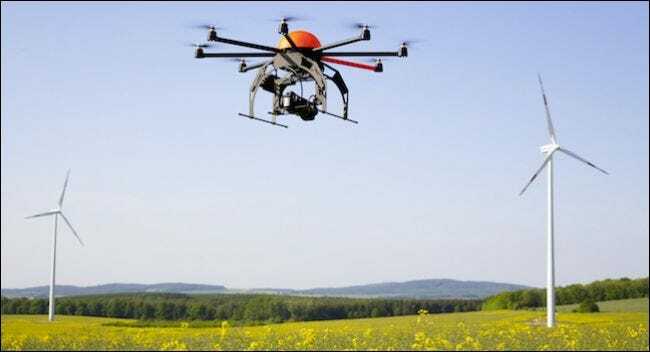 Drones, or Unmanned Aircraft Systems (UAS), on the other hand, are relatively and generally pretty easy to operate and well within the budgets of many people. That’s not to say, drones don’t require significant skill, practice, and patience to master. On the contrary, their simplicity is deceptive and to that end, many newbs go into them with unreasonable expectations. But, here’s something that many people don’t know or realize, if you’re not fully abreast of UAS do’s and don’ts, you can end up in a lot of trouble. You can run afoul of the law and face felony charges if you’re flying in the wrong place at the wrong time. You can face hefty fines if you hit or endanger pedestrians. Or, someone could take your drone flying personally and pick a fight. The point is, bad stuff can happen if you don’t know what you’re doing and if you’re not aware of the laws and practical points of safe UAS flying. In fact, it’s fair to say that most rookie UAS pilots get into trouble when they fly where they’re not supposed to. Just in time for the 2015 holiday gift giving season come new regulations from the Federal Aviation Administration (FAA). Anyone who wants to fly a UAS will have to register it first. Registration begins on December 21, 2015. The fee is $5 but the FAA is waiving it for the first 30 days, which means you will have until almost the end of January before you have to pay. Failure to register your drone could result in criminal penalties up to $250,000 and three years in prison (though that’s pretty harsh and we hope it wouldn’t come to that). If you have operated a UAS prior to December 21, then you have until February 19, 2016 to register. If you get one after the 21st, you must register before your first flight. You must provide your name, home address, and e-mail address. Upon registration, you will be provided a unique identification number, which must clearly be marked on the aircraft. Fortunately, you only have to register once and the ID number will apply to all your aircraft. Registration is valid for three years and you must be at least 13 years old. Those interested in reading the full rule can do so here. If you just want to skip right to the registration form, then that can be found here. How High and Far Can I Fly a Drone? If you plan on flying a UAS (recreationally) in United States airspace, then you’ll be governed by the FAA rules regarding model aircraft use, which doesn’t amount to very much guidance to be honest. The FAA Advisory Circular 91-57 is one page, dates all the way back to 1981, and states simply that model aircraft operators – in this case people flying drones – cannot fly their crafts more than 400 feet above the ground, must keep them within sight, and should not operate within five miles of an airport without first informing the airport’s operating authorities or aircraft control tower. How far you can fly is going to be limited to the space you’re flying in and line of sight. Flying beyond your line of sight increases your risk of losing control and crashing. You might think simply that you can fly via the radio controller’s screen, or your phone or tablet (ala first person view or FPV), but we should strongly caution you against doing that. For one, you’ve only got a limited field of view, i.e. whatever the drone’s camera sees, so you won’t be able to see everything around the aircraft. Also, there may be lag, which compromises reaction time. How far you can control your drone will depend on your controller and the UAS’s antenna. One man built a weather balloon-deployed UAS glider that could be controlled from the edge of space (30km), but that’s an extreme scenario. You can certainly fly beyond your line of sight but then you risk possibly hurting someone, damaging property, and running afoul of the law. Therefore, you should stay within the 400-foot ceiling and maintain visual contact with the aircraft at all times, unless you’ve obtained an exemption from the FAA. With a drone comes great responsibility, so besides the basic 400-foot operation ceiling, and always keeping the craft within your line of sight, other rules should apply. Staying away from the real deal is certainly at the top of drone-flying best practices. For one, everyone else isn’t going to enjoy your enthusiasm for your new hobby. As such, you should avoid flying your drone in residential or highly populated areas. Drones tend to raise privacy concerns, so if you’re a courteous pilot, you’ll try to allay those concerns by flying in sparsely populated or rural areas. Don’t fly near airports (obviously), schools, churches, and stadiums. This also goes so for flying around power stations, water treatment facilities, prisons and detention facilities, and busy roadways. Find a wide open treeless field without buildings, cars, towers, trees, and other potential hazards. Finally, again we’d like to stress that your shouldn’t operate around people unless you’re flying as a group or club. The simple fact of the matter is drones attract attention, and they also crash. While your chances of actually striking a casual passerby is fairly remote (unless you’re actually flying around a crowd), when drones crash, there’s also the potential for shrapnel. Just think to yourself, where is the best place is to operate a drone that isn’t going to crash into anyone or anything, and/or attract the attention of law enforcement. Figure that out, and you should be okay. When you get your new drone, the urge to unpack it, put it together, and send it aloft will be extremely compelling but if the weather isn’t ideal, then you stand a good chance of losing your new UAS. As such, you should only fly when conditions are clear and winds are calm. Drones are designed to be very light and are subject to the slightest breeze. You’re not going to be fighting for control in calm conditions but you will have to make course corrections and as such, the calmer it is the more fun and less worry you will have. Also, you shouldn’t fly in low light or darkened conditions. When it’s dark, you may be able to see the drone, due to its lights, but that’s about it. You’re not going to be able to see where you’re flying and what you’re flying around, so when all is said and done, fly when it is light out. Of course, it goes without saying but we’ll say it anyway, while drinking and droning may seem like it would be a lot of fun, you should take their operation soberly. If the recent event in Washington DC is any indication, this is an excellent rule to observe. Wait until after you’ve successfully flown your drone and safely packed it away before celebrating. Finally, if you’re planning on using a drone for profit, such as to film a movie or a commercial or any project where you’ll be paid, then you will need to apply to the FAA for a commercial exemption. Even if you’re simply planning on doing a site survey or mapping out an area, you’ll still need to seek out approval. When it comes to further research, there are many resources that you can seek out online but the one you should definitely start with is Know Before You Fly, which is actually endorsed by the FAA. Flying drones is something many people can do relatively inexpensively (compared to a full-on R/C model airplane or helicopter hobby). Moderately priced drones can be found for well under $1000, which isn’t beyond the reach of many people. That said, even a drone costing several hundred dollars isn’t cheap. RELATED: What Do Drones Mean to the Future of Personal Privacy? It’s important then that you go into UASs fully informed and even seek instruction from other UAS enthusiasts. If there is an R/C-aircraft group in you area, they’ll most likely have an online presence. Don’t be afraid to reach out to them for advice and support when pursuing your new hobby. Also, feel free to use us as a resource and method to connect to other UAS enthusiasts as well. If you have any questions or concerns over UASs, please use our discussion forum to address them.